Everything works fine once I remove the opengl32.dll which is Reshade. I tried GlideN64 with old version of Reshade and it somewhat works, no depth effects work such as SSAO, the newest version of Reshade wont work with GlideN64 2.0 or 3.0. Which version of Project64 do you use, maybe that could be the reason. I'm using the latest 2.4 development build of pj64 which is from August 20th, and I usually use the Naboo alpha 1 build of GlideN64 since it's the newest version that works without the Reshade glitch I mentioned. MXAO won't work correctly in anything other than 2.0, but the other effects all work for me in the newer builds. The only issue is that things turn transparent indoors like I mentioned, but it all still runs. The GlideN64 developers opted to cut bloom and other post processing out of the plugin since external programs like Reshade could handle that, but unfortunately they've also opted not to work on remaining compatible with Reshade. From what I read on the Reshade forum I assume MXAO could work if they ported it into the plugin itself instead of going through Reshade, but I don't think any developer will make that a priority if even basic Reshade compatibility can't get attention. There is a depth buffer detection mod that has made its way into official Reshade releases which allows for getting buffer access and running effects like MXAO in games where it used to be impossible, but it's only for D3D backends. If the same were done for openGL, it might provide a way to finally getting MXAO to work in new GlideN64 versions. There's plenty of time between now and the textures being done for these issues to get worked out. That could be why. I was using Project64 2.2 since I don't have access to this development build, I didn't even know they still did those. I tried searching for this GlideN64 Naboo alpha 1 but didn't find it, I could only find version 3.0 and some other experiment one about soccer or something. 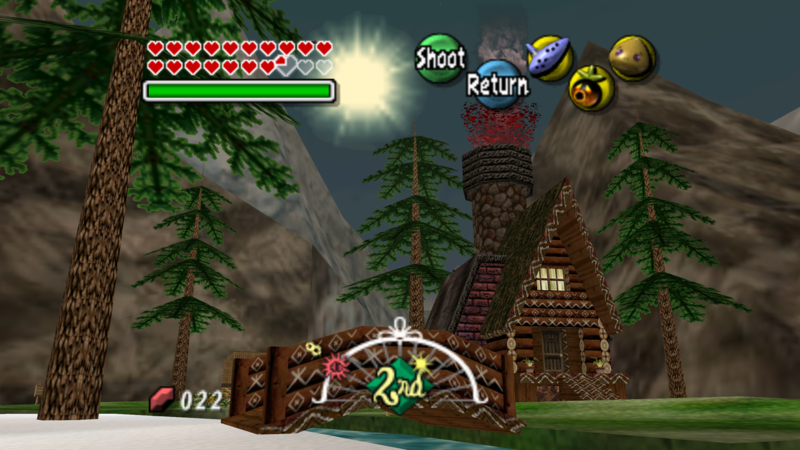 But from testings it just Project64 doesn't work at all with Reshade 3 and has severe issues with GlideN64 3.0. I got Reshade 3 to pop up but no shaders are loaded, not even in the Reshade 3 menu it's blank. On top of all that, GlideN64 crashes when loading your texture pack, I get an error and the game just crashes. Last edited by Knight45; September 19th, 2018 at 23:33. A lot of earlier textures used photos which don't fit into the game very well and need to be replaced, so I'm drawing from scratch more in the first place (the bushes in the last shot were redrawn to replace a weed photo I had been using). I also redid the item buttons again based on the feedback from earlier (not sure if this is better) and drew new quivers, since I think the ones I had been using weren't official renders and were instead from a deviantart page. I'm going to try using google to host the pack from now on since Mega gave me a takedown notice last time and has been giving me problems uploading. I'm also working on a quick tutorial video that will also generally go over what the pack is, since a lot of people on youtube have asked for that. As a 3D character artist, I would have a technical question if you don't mind - just out of curiosity. How does the texture mapping work exactly? Do you mind if I ask what you're working on the models for? I tried dumping a few to experiment but the process seems really tricky since the models aren't in a format that a lot of programs can understand. 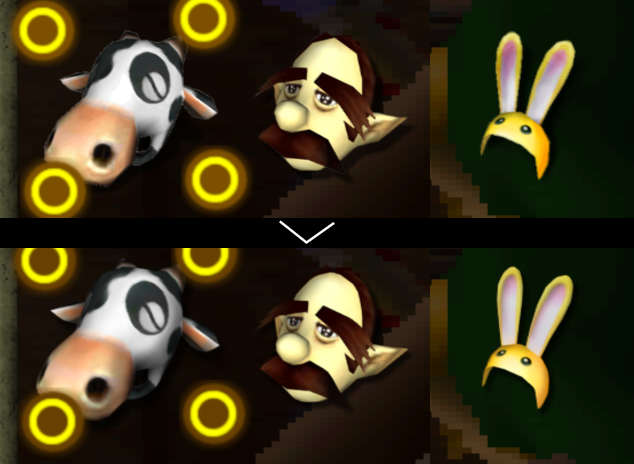 If you have any time to explain the basics of getting N64 model edits done I'd appreciate it. Last edited by Nerrel; October 5th, 2018 at 08:09. Uhhh...this looks amazing. 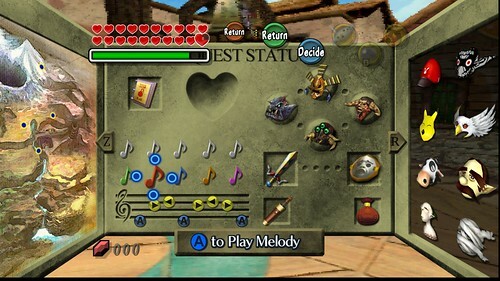 I will be playing this on the weekend when I get the chance. Those eyes are looking a lot better. 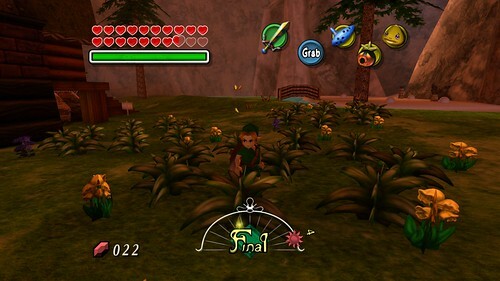 I've been testing the pack a bit, and other than the eyes, my main complaints, while minor, are with the coloring of both deku link and hylian link. 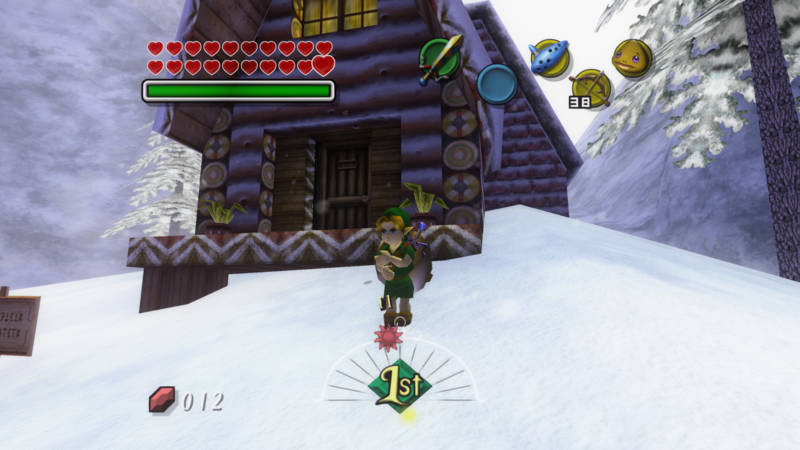 In the original, hylian link's belt and scabbard strap are almost as red as the gilded sword's scabbard. His boots are also a lot darker. I know it's kind of a trivial detail, but it's just kind of off-putting to me for some reason (the boots slightly more so than the straps). 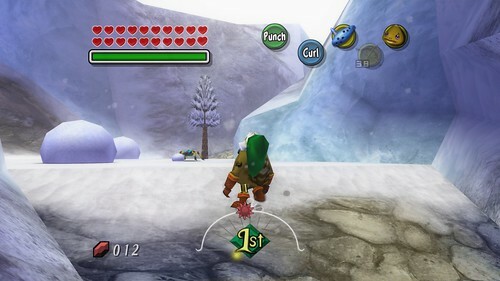 Deku link's boots and gloves look a bit too shiny in my opinion and look much lighter than the original as a result. 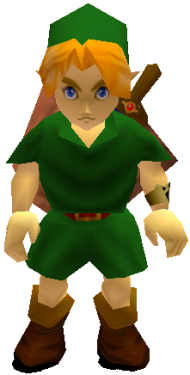 Deku link's hair is also a greenish yellow in the original, while the new one looks purely yellow. 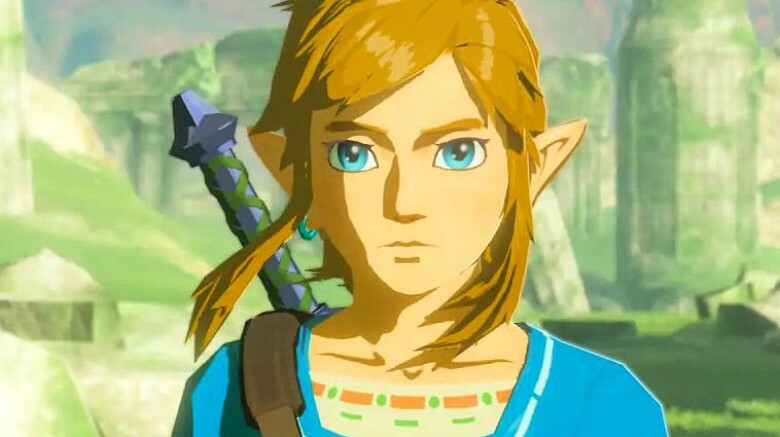 In the original game, I had always seen his hair as some kind of rough leaf and his skin as bark (his skin looks a little bit like fine-grain wood). His eyes also look a bit redder in the original. 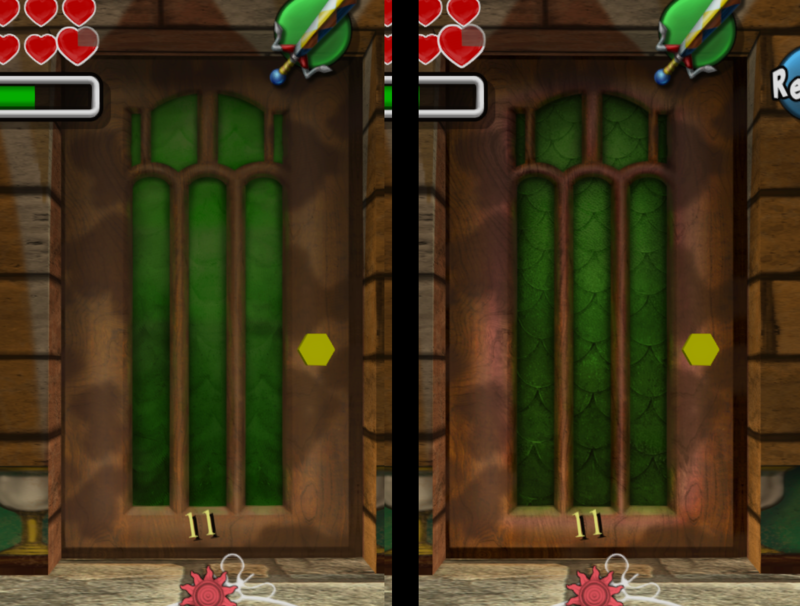 Deku link's mouth is also a bit yellow, but this is probably the most minor difference in my opinion. Again, sorry for such nitpicky criticism, but the original is very close to my heart so these little things bother me more than they should. Overall, I can't express how happy I am to have discovered this pack! It's obvious you really know what you're doing, and this is shaping up to be the definitive way to play the game. Thank you for your hard work! 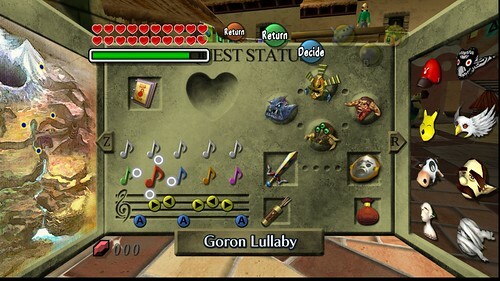 The past couple days, I've spent many hours revisiting Termina to come up with a more comprehensive list of feedback. I have to say, running around Clock Town, Termina Field, the Southern Swamp, and what's complete of Snowhead, I was impressed beyond measure! You've captured the essence of the original vision so well, it feels exactly like I remember it but so much clearer and prettier! 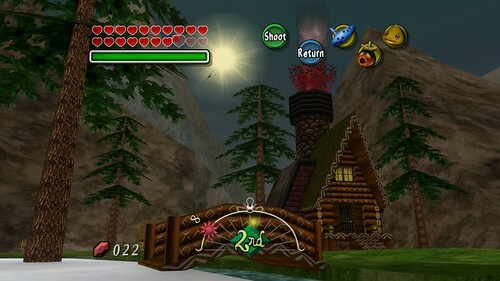 Clock Town looks fantastic (I really love what you did with the posters and shop signs around town in particular), the Astral Observatory is stunning, Termina Field feels more magnificent and imposing than ever, the swamp scenery is gorgeous and fantastical, and you can almost feel the cold air at Snowhead. Everything looked gorgeous, but nothing stood out particularly because everything looks so close to the original. So much so, in fact, that turning off the pack to compare was actually quite jarring; the pack really started to feel more like the original than the original, in a sense! 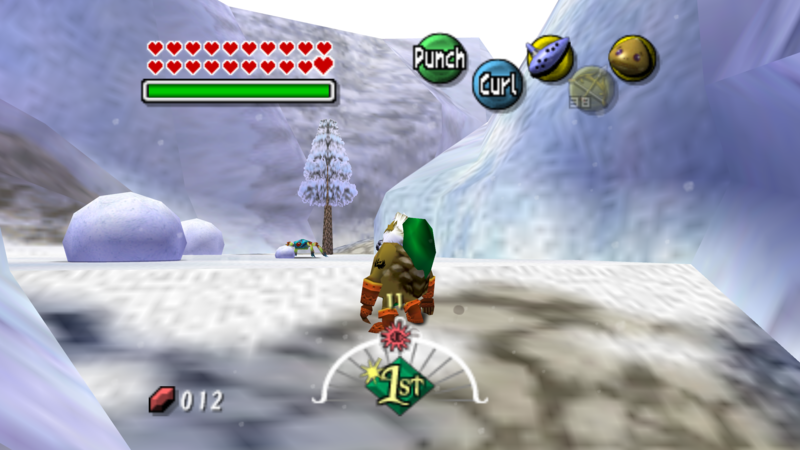 I also really love what you did with the HUD and menus in general; the pause screen looks amazing, and the use of official art gives it a very authentic, polished feel, and the in-game HUD follows the original very closely while feeling much cleaner. 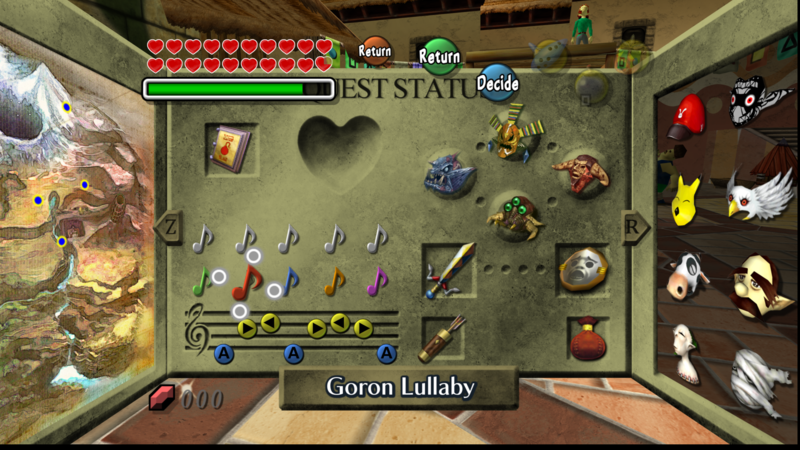 I found the use of the pixelated font for item quantity a really cool and fitting nod to the original, as well. I absolutely LOVE your work so far, and I can't wait until this is done! I really think this will become the definitive way to play the game! 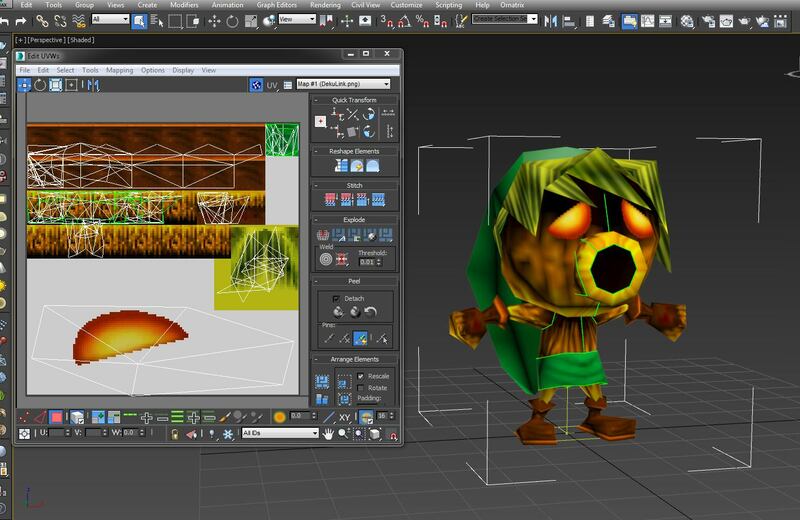 - Link's retexturing (as I mentioned before). I can definitely see that you're leaning towards the concept art. However, being honest, the concept art and in-game style are two very different directions in the first place, so personally, I don't see a need to follow the concept art (the original developers certainly didn't). 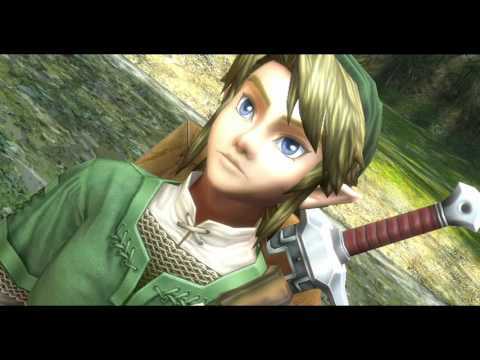 The artwork link's face is extremely different, his tunic is a neon green, and there's a unique lighting style. Not only does this not fit well with the rest of the game in my opinion, but it's impossible to faithfully recreate anyway. I think I speak for many when I say I would really prefer a faithful recreation of the original in-game link. Even things like the changed belt, strap, and boot colors are jarring to those used to the original. 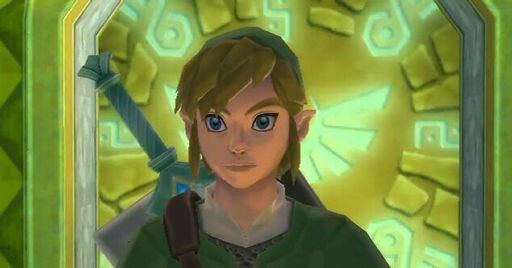 Link's new eyes also look very out of place (though the redone ones look a bit better). I would personally prefer a recreation of the original eye textures (though his eyes are admittedly weird looking in the original) just because I am biased toward the original. 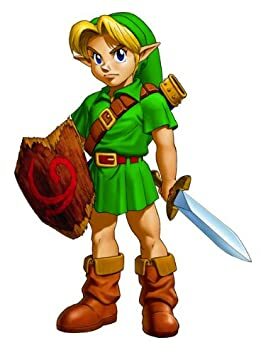 Deku Link's boot and glove colors are also too shiny and bright in my opinion, and his new, wooden Deku Pipes look strange. I would again prefer the original, brass pipes. - The new breakable pot texture gives an almost concrete-like impression. - The new bobblehead cow head texture looks really out of place with the body. The original gives an impression of being crafted out of paper or wood, resulting in its blocky shape. I think a blockier, bigger head would be more fitting. - The newly drawn gilded sword icon looks great, but kind of gives the impression of being airbrushed; it's slightly blurry and lacks sharpness/cleanness compared to other icons. 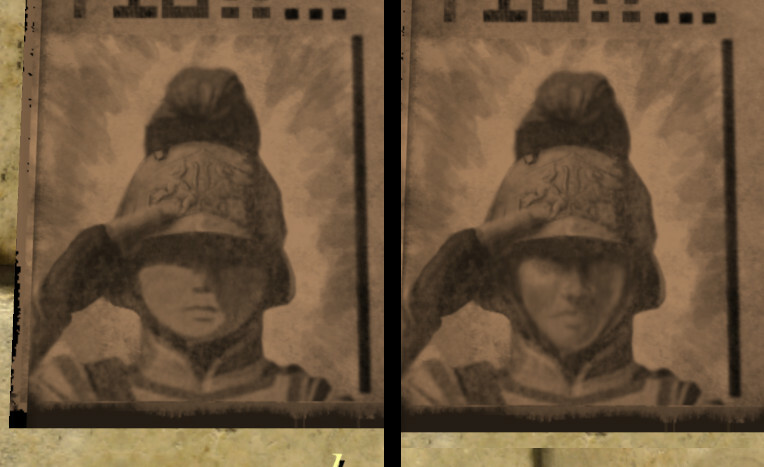 - Some mask icons have very slightly unclean edges (this could just be a product of the icons being higher-res than my 1080p screen can fully display), such as the Romani and Stone masks. - The newly drawn Anju's grandmother icon is also very official looking, but looks a bit less sharp and clean than the other character artwork. 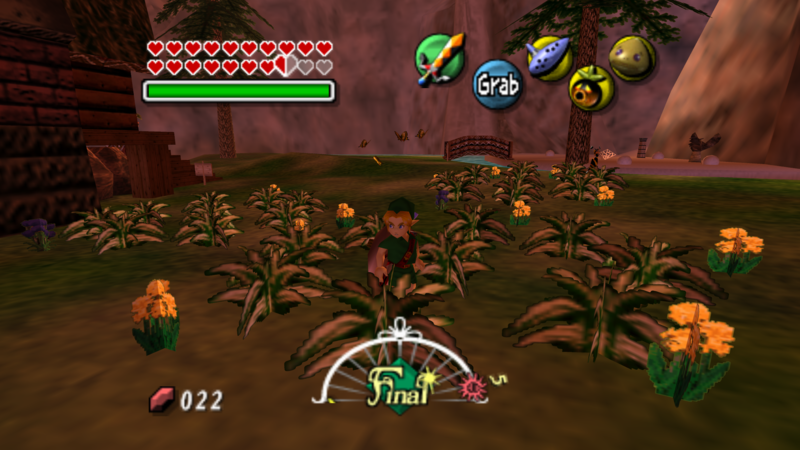 - The Majora's Mask image on the balloons (i.e the one Jim tries to pop) looks too shiny and perfect, almost like it was printed out. - The title screen logo, particularly the word "Zelda" looks jaggedy and distorted at 1080p. - The owl icons that appear when choosing a teleport location look very out of place. 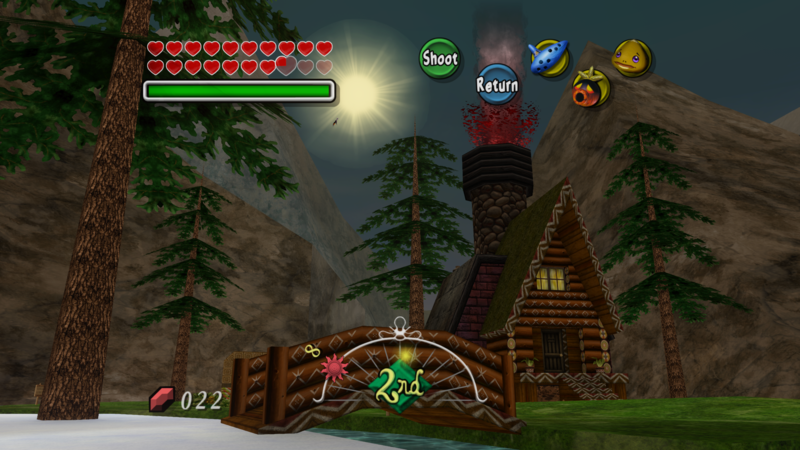 - Effects from hitting an enemy with a light arrow looks a bit like electricity; perhaps too many prongs? Again, these are pretty nitpicky, so I apologize, but I really love Majora's Mask and your project, so I can't help but give my harshest feedback in hopes of improving what looks like it will be the definitive edition. Also, just as a very random side-note, is it possible to correct the lens of truth's screen overlay and button overlay for widescreen? Thank you so much for remastering my favorite game of all time! It's a dream-come-true. I think some of the changes might just be jarring to people because its something different than they're used to, so I'd much rather give people time to judge it than go through the work of replacing every prompt only to end up with another font that people don't like. But if I had to replace it now, I'd use that bottom font. A lot of the textures are being replaced as I go along, specifically the ones that really stand out as photos. 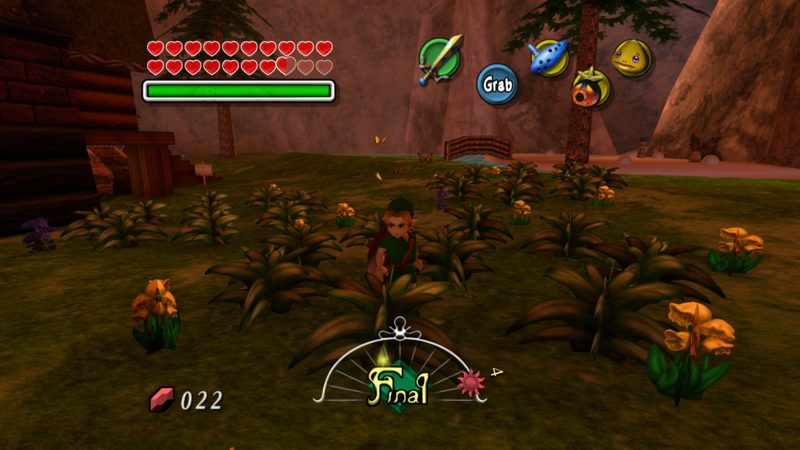 The grass will probably all be drawn by hand before the pack is done. I didn't even have a graphics tablet when I started, so I couldn't do nearly as much and relied on texture libraries more. The lens of truth can't be replaced though, since it gets distorted badly when a custom texture is loaded. 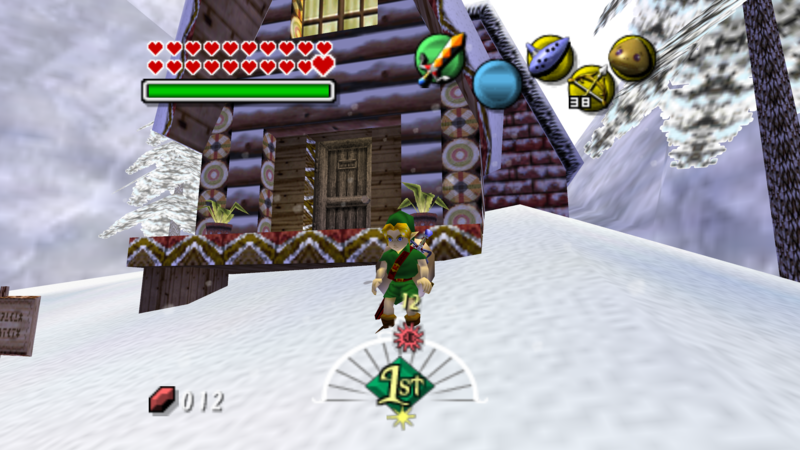 - Link's retexturing (as I mentioned before). I can definitely see that you're leaning towards the concept art. However, being honest, the concept art and in-game style are two very different directions in the first place, so personally, I don't see a need to follow the concept art (the original developers certainly didn't). There's a lot of room for argument about Link. 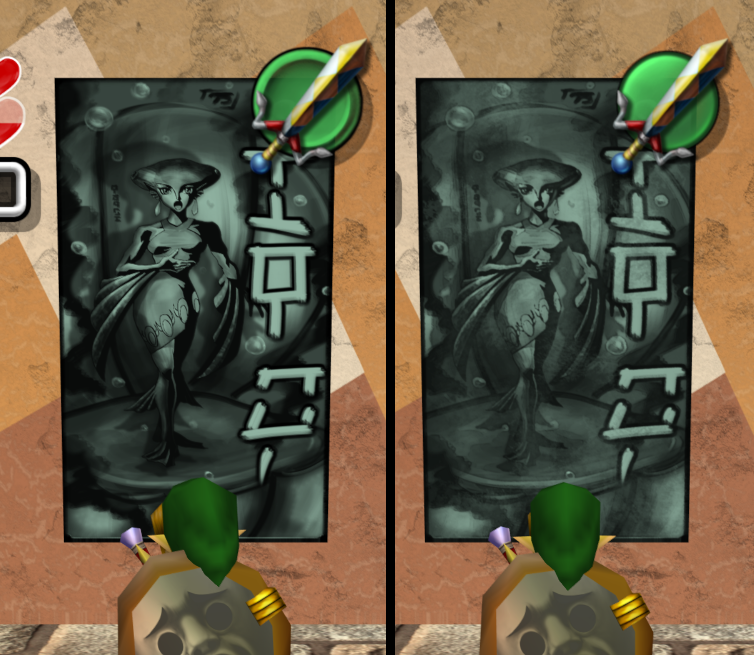 There's no such thing as a 100% faithful update, even when trying to exactly match the original texture, because I have to fill in the missing details according to my judgement about what should be there. My imagination leaves a mark on every texture whether I want to or not. 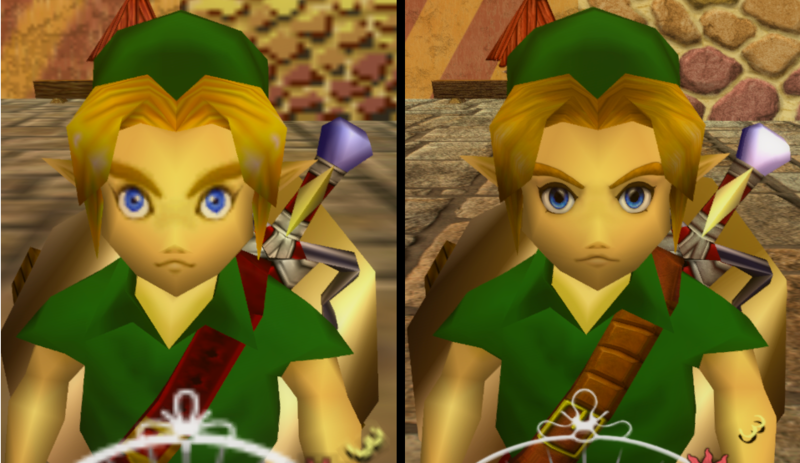 With Link, the old texture has eyes that are fixed upward in a way that doesn't often make sense and it's hard to tell whether the spike on the sides of his eyes is an eyelash or some kind of extension of his eyelid. I can't really redraw it unless I have a firm grasp on what it's supposed to be like, and that's where the concept art comes in. It lets me know what the starting point was for the original artists. 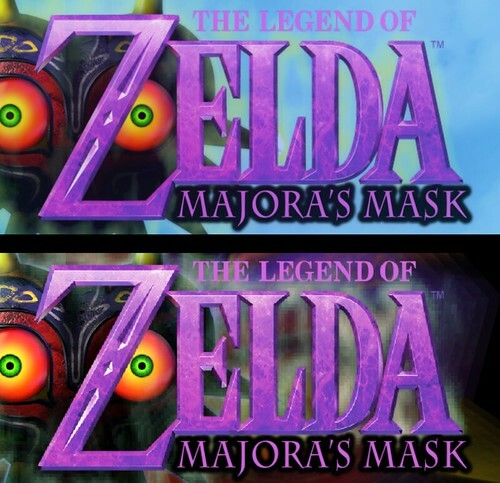 With the expansion pack Majora's Mask was able to add some of those missing details but the model was still really crude, I assume they differed from the art just because they still couldn't pull off those details in a way that looked good and went for something simpler. 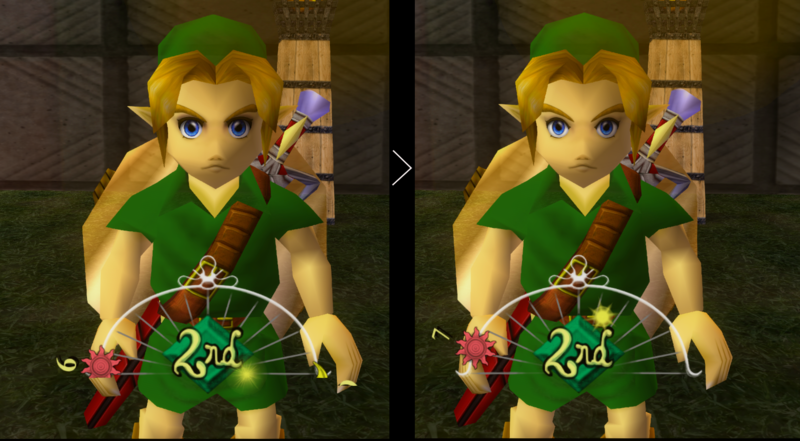 MM3D then neglected that art and instead copy+pasted OoT3D's Link over, so you don't really get the different attitude seen in Link's face in the art there either. I think what you did with his eyes is perfect. Your original version looked too intense, but I think with the tweaks he now has a more determined look, if you will. Just my opinion but for me it looks excellent. Keep up the good work!